It may not look like much, but the Plank can’t be beat for building a strong core from the inside out. It’s essential to master the basic front plank before moving on to more advanced variations, because it teaches the foundational cues that make all planking movements effective. And when done consistently and correctly, it will—not can, will—confer mega strength benefits. Start off by getting into a basic plank position: propped on your forearms, elbows in line with your shoulders, legs shoulder-width apart, and your toes planted firmly. The most important element of a good plank is a neutral spine or “flat” back. The most common problem I see in planks is a sinking low back, but the second-most common problem is an arched back with the hips in the air. To keep a neutral spine, imagine pulling your belly button back towards your spine. Another element of a good plank is proper shoulder position. Be careful not to shrug the shoulders up toward your ears. The final element is head position. Do your best to keep your head neutral, like it is when you stand straight and stare forward. Resist the urge to crane your neck up or let your head droop down towards the floor. Once you’ve mastered the basic plank, you can move onto some fun variations! Waking up for a Monday morning workout can be extra tough, especially if you spent your whole weekend on the couch or enjoying marvelous foods and spirits. (Hello Holidays!) Whether it’s before work, during lunch time, or after work- Not missing your Monday workout is important if you want a routine that you will stick to for more than a couple of weeks. 1. 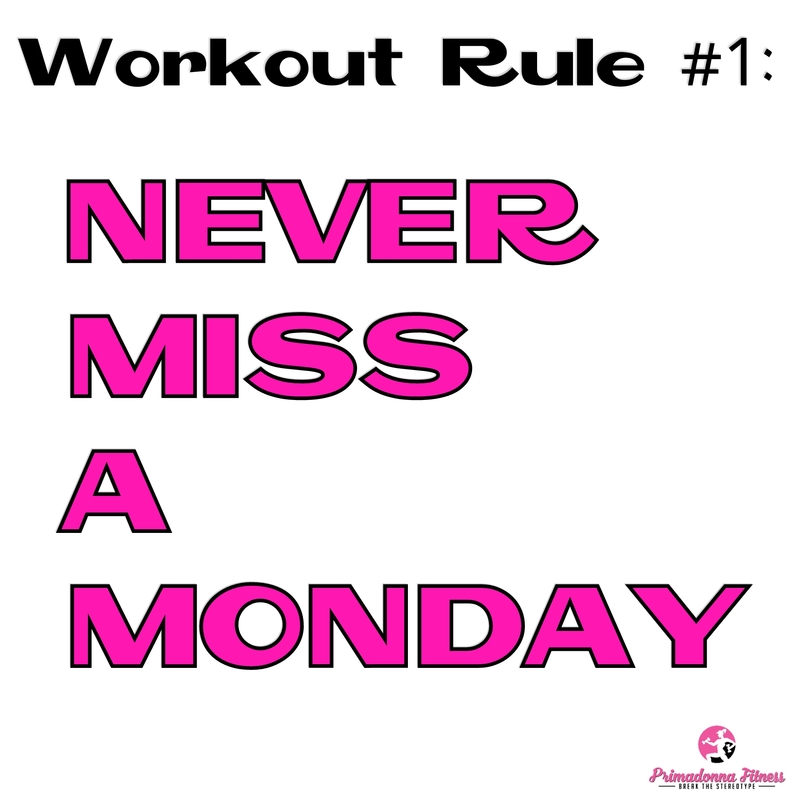 Working out on a Monday will set momentum for the rest of your week. Never underestimate the power of momentum. Starting your week off on the right foot will give you the push you need to finish off strong. 2. When you train, your body releases endorphins and this can be a great way to get over your case of the “Mondays” that we all seem to experience. 3. You will be more likely to eat healthy throughout the day, as you will be in a healthy mindset. 4. Sticking to your scheduled Monday sweat-sesh will make you feel in control of your week, and that you can take on anything! 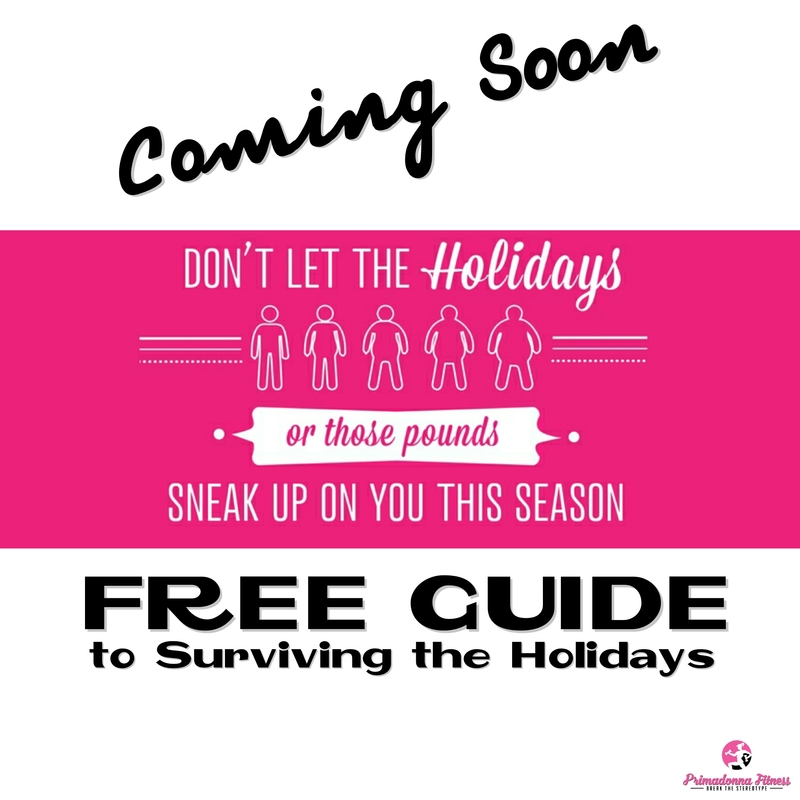 I have compiled an extensive list of tips, tricks, and yummy recipes to help you get through the Holiday Season without packing on the pounds. Due to release this Friday, December 11th! Primadonna Fitness has a NEW LOOK! Hello everyone & Happy 2015! I apologize for the break in posts. I have had trouble choosing a host domain for our website. Primadonna Fitness was originally through GoDaddy, but I have personally decided to change servers due to recent campaigns within their company. It is a NEW YEAR & I have TONS of plans on the table for Primadonna Fitness. I got wrapped on in school and realized I didn’t like my body anymore. I had gained weight and lost muscle. I started eating better and losing weight but I wasn’t toning like I wanted so that’s when I began going to the gym and got addicted to fitness. Who or what are your strongest motivators? My real family and my gym family! What is your favorite healthy treat/meal? I love turkey tacos in lettuce cups and pizza made with zucchini… It feels like you are eating unhealthy but it’s so yummy. 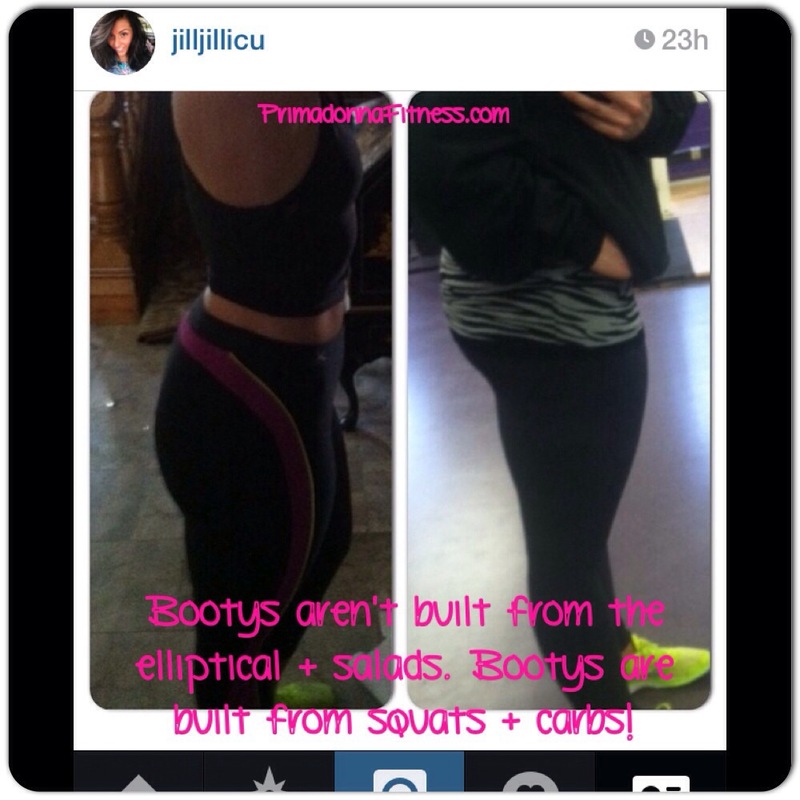 You can follow Mindy’s fitness journey on Instagram at @mindysttnprty! ‘The Primadonna Fit’ Activewear PREVIEW LAUNCH! Hello everyone! 🙂 I’m officially launching a preview of my new activewear line called The Primadonna Fit. You can view the preview items under the SHOP tab, or visit Beda Boutique (my storefront) by clicking here! This is my personal progress photo from doing the Builda Booty Workout! Now, I’m not going to false advertise… These photos were taken 3 months apart. However, with hardwork and consistency, you can achieve these results, too!